Our company, Agriluca Import-Export, was set up in 1997 to promote fruit and vegetable exports from the Cuban agricultural sector to anywhere in the world. It is a foreign owned company, operating in the Free Zone at Berroa, Havana, Cuba. With our small staff of four, very professional, specialized individuals, sales have grown and we have gained valuable experience in promoting and exporting bat guano. To improve exports of bat guano from Cuba, we have become involved in all areas of production, from finding the caves, to grading the bat guano and building up an infrastructure for transporting it from the caves to the ports. Our experience is our greatest guarantee to our clients that they will receive the high quality products that they order. Professional training: graduated as Maestro Agrícola (agricultural technician) in 1953; graduated as coffee taster in 1955; graduated in Agricultural Engineering in 1965. Post-graduate courses include plant physiology, soils and fertilisers, soil management, coffee and cocoa cultivation, plant health. Work: Mr Bernaza has worked in areas closely related to agricultural production, processing, and exports. The plan for producing goats’ milk for children with digestive problems. Director of the exports division for coffee, cocoa butter, honey, etc., in the Cuban Ministry of Foreign Trade. Director of the Technical Department of the National Seed Company, producing and importing all Cuban seeds. Manager of the company Kave Coffee, where he promoted development of Cubita coffee, the Cuban national market leader. Director of the Division for Exports and Brands, in the Cimex Corporation, where he developed production and export of various seeds, fruit and vegetables. For five years, he has looked after the production and export of bat guano and other organic fertilizers for our company. Graduated as an agricultural engineer in 1975. For 10 years, he dedicated himself to teaching about soils and agrochemicals in the Ministry of Education, supervised several theses, organized post-graduate courses and advised on agricultural matters. He worked for the Soil Institute at the Ministry of Agriculture, as a specialist researcher in soil conservation and improvement. He has 20 years of experience in developing organic fertilizers of animal and plant origin, (including vermiculture, compost, bat guano and peat). He has taken part in various national and international events relating to soil, agrochemistry and the recycling of rural and urban waste. Throughout his working life, he has been directly involved in promoting sustainable, organic, ecological agriculture. He has also attended courses on agricultural ecology in Egypt, Spain, Italy, Germany, Switzerland, Columbia and Guatemala and has carried out assessments of organic and ecological agriculture in Cuba and Martinique. He is presently working on the Cuban Council of Churches’ Programme for Sustainable Development, where he is the project coordinator for sustainable food and equipment and local development. Our commercial director, a law graduate, has considerable commercial experience as a result of the numerous activities that he has carried out in this field. 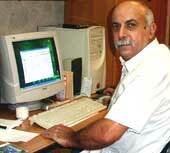 For more than thirty years he has worked on the export of fruit, vegetables and products of the cattle industry, at all levels, including quality control, shipment coordination and management, for the main Cuban fruit and vegetable export company. 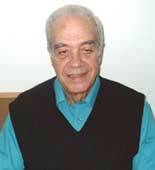 He was company representative in Holland, the main European gateway for Cuban fruit, for more than seven years. He has undertaken specialist courses in market research and inter-governmental operations. 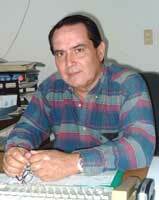 Miguel Acosta has been our company director since its foundation in 1997. His export experience has enabled Agriluca to develop sales of bat guano and create the infrastructure needed both inside Agriluca and at production level. The only exporter of Cuban bat guano. It is sold wholesale, in individually-priced containers. The most interesting articles about bat guano.